Mike Dodd and Tim Hovland won the AVP Miller Lite Phoenix Open. It was the 59th win for Mike Dodd, the 58th win for Tim Hovland, and the 53rd win for the team. 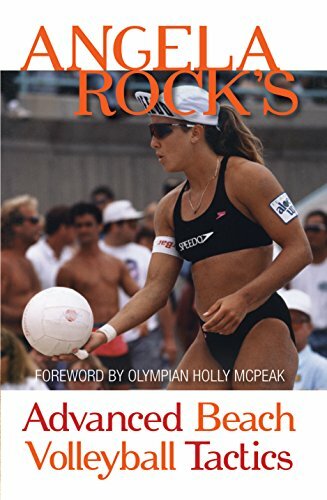 Karolyn Kirby and Liz Masakayan won the WPVA Coors Light Beach Volley '93. It was the 31st win for Karolyn Kirby, the 9th win for Liz Masakayan, and the 1st win for the team. Holly McPeak and Angela Rock won the AVP Women's Division Phoenix. It was the 1st win for Holly McPeak, the 19th win for Angela Rock, and the 1st win for the team. Nicole Branagh and Misty May-Treanor won the AVP NIVEA Tour Gatorade Fort Lauderdale Open. It was the 17th win for Nicole Branagh, the 106th win for Misty May-Treanor, and the 1st win for the team. Langkawi, Malaysia, April 14, 2019 – Daniil Kuvichka and Anton Kislytsyn outplayed Andrey Bolgov and Vladislav Ermilov in the all-Russian finale of the FIVB Beach Volleyball World Tour Langkawi 1-star on Sunday. Langkawi, Malaysia, April 13, 2019 – Two Russian pairs made it to the final four of the FIVB Beach Volleyball World Tour Langkawi 1-star, following their straight-set quarterfinal victories on Saturday. Langkawi, Malaysia, April 12, 2019 – Japanese pair Satono Ishitsubo and Asami Shiba beat their top-seeded compatriots Sakurako Fujii and Minori Kumada in the second round of pool play to gain direct entry into the quarterfinals of the FIVB Beach Volleyball World Tour Langkawi 1-star on Friday. Langkawi, Malaysia, April 12, 2019 – The top-seeded Australian pair Tim Dickson and Marcus Ferguson and the second seeded New Zealand tandem Thomas Hartles and Alani Nicklin advanced directly to the quarterfinal round of the FIVB Beach Volleyball World Tour Langkawi 1-star recording two pool play victories each on Friday.